Are You a Parent of A Female Player? Are You a Female Soccer Player? Hi, I’m Kristine Lilly, two-time FIFA World Cup champion and two-time Olympic gold medalist in Soccer. 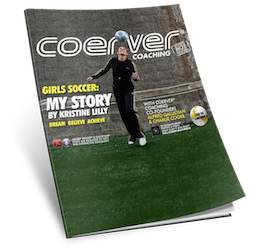 I’ve partnered with Coerver® Coaching, the world’s number one soccer skills teaching method. Together, we’ve created a brand new Ebook called, “Girls Soccer: Dream, Believe, Achieve”. If you’d like to see how this Ebook can help you, you can watch the video below. eBook includes regular and interactive PDF. The Ebook is easily download to your computer, tablet or mobile device. 72 HD videos that will help improve your players. 24 practice illustrations, showing you the practice purpose, set up, action, variations and important player and coaches tips. 5 ESSENTIAL skills that each of your players should have. The Coerver Coaching Skills test in HD video and accompanying illustration. Take your test right onto the field. Inspire your player to practice more at home or on the go with their smart phone or tablet. The difference between coaching boys and girls. This is unbelievable. The fact that you can have this on any sort of device and you can bring it to a practice, it's absolutely extraordinary stuff. I think unquestionably for our generation, this is the future. For coaches, it's fantastic. The Coerver brand is a wonderful brand. It's a great way to become more technical and become more creative with the ball, and to have a role model, like you, handling this, I think is phenomenal. It's so user friendly that anyone can use it. You don't need a clipboard anymore, that's the great thing about the iPad, it is all right there on the field with you..
Kristine Lilly was a member of the United States women’s national soccer team for 24 years. She is the most capped men’s or women’s soccer player in the history of the sport, gaining her 352nd and final cap against Mexico in a World Cup qualifier in November 2010. Kristine played in five FIFA World Cup finals, winning two World Cup championships. She also played in three Olympic Games, winning the gold medal twice. She was a four time all American at the University of North Carolina while also winning four NCAA National Championships. 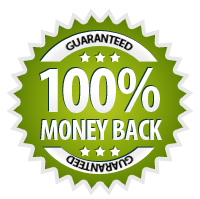 Alfred Galustian has gained a reputation over the last 30 years as being one of the leading technical skill teaching experts in the world. This knowledge and reputation has seen Alf working with some of the world’s leading federations and clubs, which includes the Premier League, French Football Federation, Football Federation Australia, Japan Football Association, Arsenal, Bayern Munich, Real Madrid CF and Newcastle United. Charlie Cooke played for Aberdeen and Dundee in the Scottish First Division before joining Chelsea in the English First Division, where he played for the next 11 years. He made 380 league and cup appearances for the Blues and played in four cup finals, winning the English F.A. Cup in 1970 against Leeds and the European Cup Winners’ Cup in 1971 against Real Madrid. He also played 16 times for the Scottish National Team and a World Select Team in 1979. He shares the Chelsea club record of three Player of The Year awards with Gianfranco Zola and in 2005, Chelsea’s centenary celebration year; he was selected for the club’s All-Time XI. 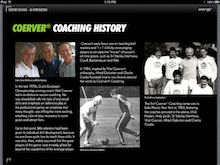 Charlie is the co-founder of Coerver® Coaching and a Director in the Americas since its creation in 1984. 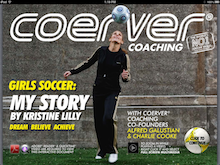 Coerver® Coaching co-founders Alfred Galustian and Charlie Cooke developed the program from 29 years of knowledge and work around the world at all levels of the game – from grass roots to leading federations, clubs, managers and stars of international soccer. 74 page interactive Ebook that you can easily download to your computer, tablet or mobile device. An interactive Ebook that teaches excellence in life and soccer. 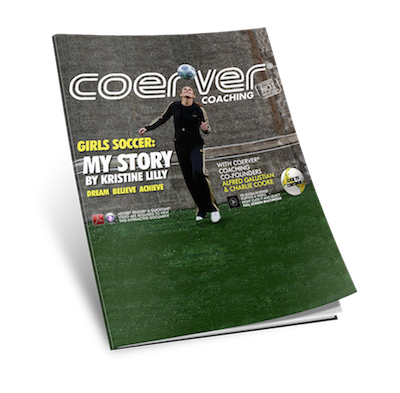 It uses a mixture of HD video, illustrations, text and the Coerver® System to teach coaches, parents and players. 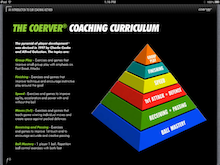 Ebook includes The Coerver Coaching Skills Test in HD video. Take your test right onto the field. I've been using the Coerver Coaching method since I was a really young player. It certainly helped me in my career and I strongly believe it's the best way to coach players. I believe "Girls Soccer: Dream, Believe, Achieve" will help all female players improve their life and soccer skills. © Coerver Coaching 2018. All rights reserved.